It is hard to believe that we have already been back to school for a month. Last week, first graders harvested the carrots they planted as kindergarteners last spring. They recorded their observations and drew diagrams of what the plants look like while still in the ground, and then measured how many pounds they harvested. This year led to our biggest crop ever at 34 pounds! Another exciting event was the arrival of new sand for the playground sandbox. The new sand drew quite a crowd and for the time being, the sandbox is THE place to play at recess. We will be having our first Community Meeting on October 12th. This is a time when we come together as a school to share a greeting between students and teachers, reinforce our school values: Safe, Kind, Helpful, and Polite, and celebrate a theme with songs, poetry or any number of other activities. Each meeting is hosted by different classrooms and staff members throughout the year. Classrooms in kindergarten and first grade will be making visits to the Yarmouth Fire Station on October 10th as part of Fire Prevention Week. The Fire Station Open House will be held from 4-7 PM on October 10th. You can have a hot dog, meet your firefighters, and see what they do at the Fire Station! A handout will go home this week with more details about this fun event. I think we have all noticed a chill in the air, especially in the morning and evening. These cooler temperatures will soon be upon us during the day as well. Please be sure to label all of your child’s coats, hats, boots, and eventually snow pants with his or her name on the inside tags. We already have a huge collection of unclaimed coats in the lost and found. Those that had names inside were returned to their owners promptly. Thanks for your help! We had a visit from Eco Maine who came to Rowe on September 20th to do presentations in first-grade classes. Students learned about cutting down on waste by reducing, reusing, and recycling household waste. Please ask your child about what they learned in the presentation and from their visit to the Yarmouth Transfer Station on September 18th. Kindergarten students will be visiting Pineland Farms to learn about the life cycle of a pumpkin and to explore the corn maze in the second week of this month. First graders will be visiting the police station soon. A program called Garbage to Garden will visit Rowe School on October 15th to teach students about composting. Later this fall, our first graders will be having an exciting presentation about owls by the Chewonki Foundation, a nature-based education organization located in Wiscasset, Maine. This is part of the Owls Unit taught in first grade and is an amazing opportunity for our children. In addition, we are planning to add a Chewonki program for kindergarten students this year. The details of that are still being worked out, but it looks like they will be learning about bats. Parent-Teacher conferences will be scheduled in the coming weeks. Your child’s teacher will be in touch to schedule an appointment with you. Teachers schedule their own appointments individually. I recently had lunch with kindergarten and first-grade students who have birthdays in the month of September. I will do this monthly and in June, I will include children with summer birthdays so that no one is left out. I typically wait until the very end of the month or the early days of the following month so as not to conflict with family members who may want to come in for birthday lunches with their child. 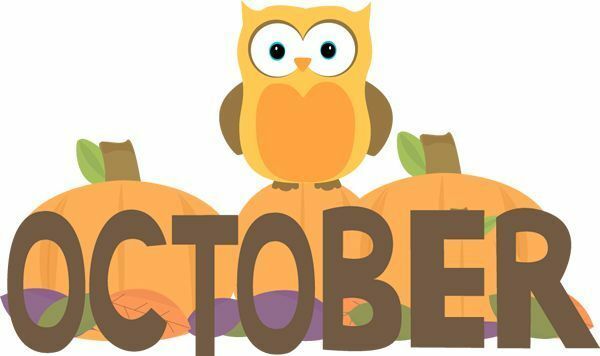 As of October 15, we will have completed the very important “first six weeks of school,” during which our regular routines and expectations are introduced to the students. During these first weeks of school, students learn about classroom and lunchroom behavior, and it is important for them to have the consistency and continued reinforcement of these daily routines. We thank you for your understanding about the importance of these foundational skills, and for your patience in waiting to join your child for lunch until after these integral first six weeks of school. As of Monday, October 15, parents are welcome to join their children for lunch at school. Kindergarten students eat lunch from 12:00-12:20 each day, and first-grade students eat from 12:25-12:45. If you choose to come to lunch, please sign in at the office and pick up a visitor tag. You may then wait for your child in the Atrium and join them in the cafeteria. When picking students up at the end of the day, please be sure you check in with the adults supervising the pickup line. We have had a few issues with children running out of the line to a family member. Please be sure to quickly check in with a supervising adult before leaving with your child. Thanks in advance for your help! The Rowe Show is a musical performance for first grade students only on Wednesday, April 10, 2019, from 6-8 PM at the Yarmouth High School Performing Arts Center (YPAC). Please mark your calendars now for this exciting performance! If you currently have a child in kindergarten, he or she will have the opportunity to perform in the Rowe Show the following spring. Please read on for more information from the Yarmouth Education Foundation regarding their major fundraiser, the Blue Jean Ball coming up on Saturday, October 20th. It’s time to celebrate and support our great schools! Tickets are now on sale for the Yarmouth Education Foundation’s 8th Annual Blue Jean Ball. Join us for a fun night out benefiting Yarmouth students in grades K-12! We hope to see you on Saturday, October 20, at 6 PM at the AMVETS on North Road. The Blue Jean Ball is going “back to blue jeans” this year and we’ll be dancing to the music of one of our favorite local bands, The Loose Threads! The BJB also features our impressive silent auction, food, and fun! Your ticket purchase directly impacts students. Thanks to your support, YEF has awarded more than $250,000 in grants in recent years to all Yarmouth schools. Thank you!